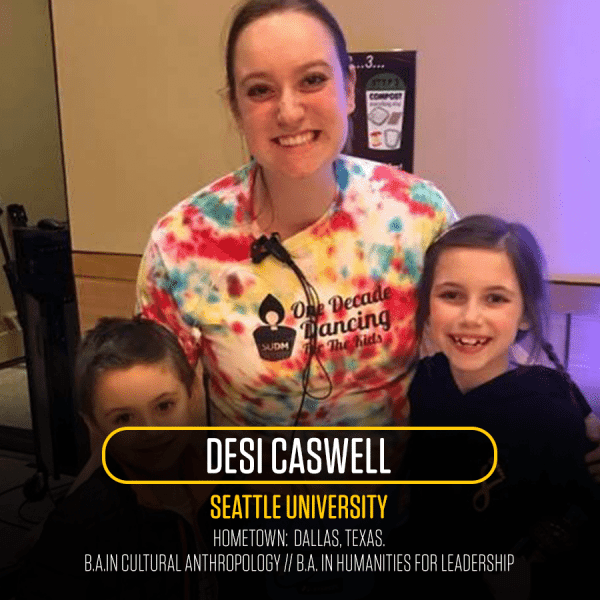 Campus/Community Involvement: My Freshman year at Seattle University I was the Entertainment Chair on the Student Events and Activities Board, I planned small events on campus to increase a sense of community and belonging particularly amongst undergraduate students. My Sophomore year, I was the Quadstock Music Festival chair, planning the largest annual event on Seattle U’s Campus. I was also an intern for the EKARI Foundation, a non-profit working with communities in Malawi, Africa to sponsor education and small business start ups for students and their families. My Junior year, I became a Naef Scholar, joining a community of students chosen for their dedication to academics and leadership on campus. Through this community, I have learned and grown with fellow student leaders around social justice and advocacy. I was also an intern with the Seattle Farmers Market Association planning small events, chefs demos, and concerts for our local farmers markets. My senior year, I have continued my time as a Naef Scholar as well as volunteering with nonprofits and advocacy groups within my community. Awards/Recognition: Throughout my four years at Seattle University I have earned a spot on the President’s List, maintaining a GPA of 3.9 or higher. 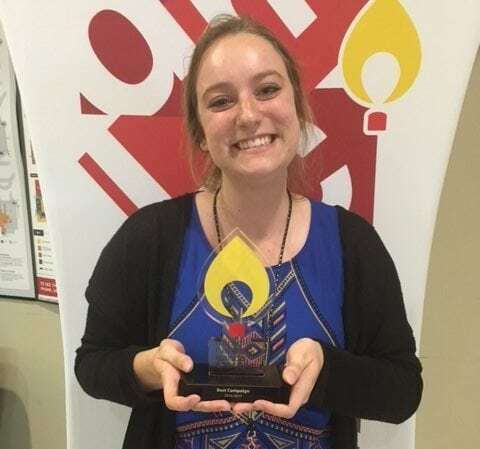 In 2017, I was awarded the Mission and Care Award, given to one student each year who exemplifies care and compassion toward other students and who lives out the Seattle University mission. Finally, my senior year I was selected to be an Ignation Leader, one of nine seniors nominated by faculty and staff to serve as advocates and mentors on campus. Post-Graduation Plans: After graduation I hope to work in corporate relations and procurements for nonprofits or foundations. I participate in Dance Marathon to make an impact in my community and on my campus. I was born two months premature with many health issues and long hospital stays. Although I was not a patient at a Children’s Miracle Network Hospital, my family knows, first-hand, the extreme cost of health care. I want to do all that I can to fight for families so that no one has to experience the financial burden of pay thousands and thousands in hospital bills. The last thing a family with a sick child should be worried about is finances. I also participate in Dance Marathon to enhance the student experience on my campus. Seattle University Dance Marathon (SUDM) is the largest philanthropic effort on our campus. Often, dancing is a student’s first experience being directly involved in a philanthropic movement and I hope, through my leadership in Dance Marathon, I along with other student leaders can spark a lifetime of philanthropic actions for a student participating in DM. A large part of Seattle University’s mission is fighting for a more just and humane world. I am proud to actively live out that mission in my involvement in Dance Marathon by providing immediate relief for patient families and advocating for a more just health care system in the future. As a newcomer to the SUDM leadership team, I entered my role as Executive Director with apprehension from my team and a lack of confidence on my own ability to lead a team. I was so scared to let the dance marathon movement down, specifically when it came to the fear of not reaching our monetary goal. That first year as director, I was consumed by the numbers. I saw success as reaching (and exceeding) our goal of $125,000 and my obsession with the monetary shined through as I leaded my team. That year, our team lacked community and had tunnel vision around reaching the goal. We ended up blowing our goal out of the water and the night of the reveal was one in which I have felt the most excitement in my entire life. However, this is not my proudest moment. My proudest moment was this year when my team set an extremely high goal of $206,000 (a $58,000 increase from our fundraising total from the year before). I will never forget the moment at Spring Training last year when we decided on our goal (a tribute to the Seattle Community and our area code, 206). In that moment, I realized the strength and courage of my team, made up of mostly new members to the leadership committee. Never this year did we lose sight of the kids nor our community. One example in particular that expresses my pride in SUDM was our Miracle Day this year. Our goal was to raise $80,000 in 24 hours, enough money to fund a trial treatment through Seattle Children’s Hospital’s Strong Against Cancer Research Initiative. This would be the largest amount of money fundraised in 24 hours in SUDM’s history. Yet this did not stop us. We wanted to do the nearly impossible and raise $80K in one day because we refused to let a family have to take on this financial burden alone. At 10 PM on Miracle Day, we had reached about $68,000. We were exhausted and our resources were beginning to run slimmer and slimmer. I spoke to our leadership team and morale captains and gave them a choice: we could end the day now, happy with the incredible amount of money we had fundraised, or we could keep pushing for 2 more hours to continue to fight for the kids. The team continued to fight, raising a total of $72,000 that day. In that moment, I realized the power of community and felt more pride than any number we could have possibly reached. In that moment, I realized that being a leader is so much more than reaching goals, but the inspiration and the relationships you build along the way. I am proud that I was able to lead my team toward taking risks, being courageous, and fighting with all they’ve got rather than setting comfortable goals and gaining reachable satisfaction from said goals. Desi accepting the “Best Campaign” award on behalf of Seattle University Dance Marathon at the 2017 Dance Marathon Leadership Conference. The biggest thing I have learned as a leader in Dance Marathon is what it means to be a leader for others rather than a self-serving leader. Before my time in SUDM, I was drawn toward leadership opportunities because I wanted to better myself. I wanted to gain skills, reputation, awards, and resume builders. I did not have experience in leading others and helping them grow, which is something SUDM taught me. As someone who used to be caught up in numbers and goals, SUDM showed me the incredible importance a sense of community has when leading a team. I realized that the best way I could foster a high achieving team was to create an environment of support, vulnerability, and support. Being a leader and a member of a team is so much more than what you accomplish, but how and with whom you accomplish it with. Personally, I am grateful for the skills I have gained in event planning and procurements. 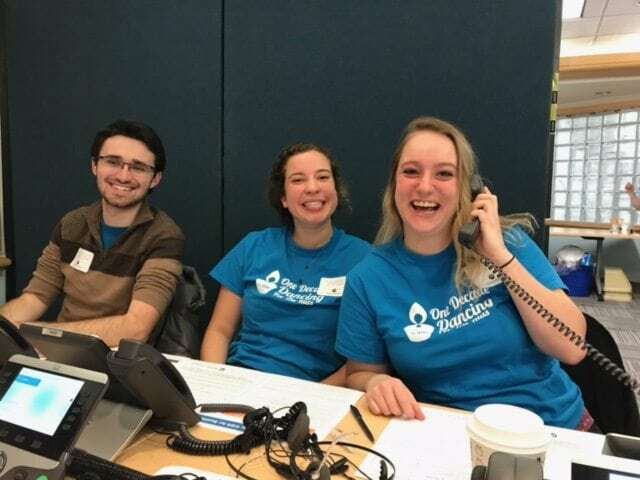 Working with existing partnerships through CMN Hospitals gave me the opportunity to steward large corporations, while still experiencing how to get a small nonprofit (like Seattle University Dance Marathon) started with donor partnerships. As a result of planning and working on events, I learned two important lessons. First, I learned the power that a thought provoking, intentional, and entertaining event can have for increasing donor stewardship. Often, an event is a great platform to create new donors who may not have had a connection to the cause before, and to find ways to incorporate current donors more. Second, I learned how important building lasting relationships is to the donor life cycle. The desire to give is often more than a direct connection to a cause. Often, a friendly face and passionate individual can bring donors in who may not have had personal connection. I strive to build meaningful relationships with donors, as creating sustainable partnerships requires more than a “pitch,” but a feeling that you are valued. Students should get involved with Dance Marathon because of the wonderful dance skills they learn (just kidding)! Truly, however, students should join Dance Marathon because it pushes you in ways we are not often pushed as students. Being a student is often a selfish act. We are paying money to better our own education, broaden our own experiences, and enhance our own prospects for the future. Being part of Dance Marathon is an act that is selfless. Nothing feels more powerful than being a part of a movement so much grander and bigger than one’s self. To push yourself mentally and physically for hours on end because of such a love and desire to help others and to help the kids is an experience that is truly once in a lifetime. People should donate to their local Children’s Miracle Network Hospital because, through their donation, they are making an impact both on the present and the future. Through their donation they are literally saving a life. They are funding technology and new treatments for the care of future children and to, hopefully, eradicate childhood illness. Not only are they saving a life in the moment, but also making a contribution that will allow a child to hopefully have a healthy and long future. A donation to CMN Hospitals is an investment in a more just future for our future generations.